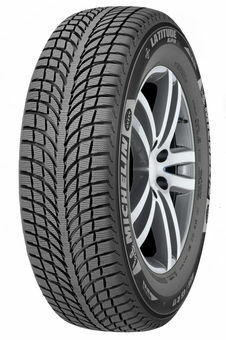 A new generation formula of full silica-based rubber Helio Compound™ 3G, allows the MICHELIN® Latitude® Alpin® LA2 tire to remain flexible in low temperatures for better winter performance. 3-D Stabiligrip Technology™ with variable geometry sipes, rigid tread block reinforcement, adding firmness for more precise and better handling. 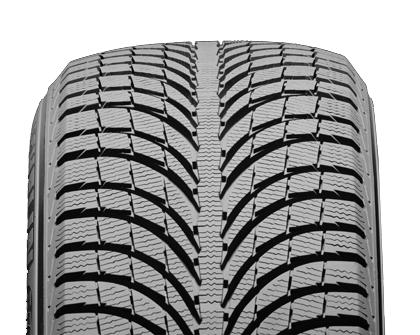 MICHELIN® Comfort Control Technology™ helps deliver one of the most comfortable rides in the industry by using computer-optimized design and precision manufacturing to offer greatly reduced vibrations and road noise. MaxTouch Construction™ combined with the interlocking action of Michelin's siping technology delivers impressively long wear life with exceptional tread block rigidity while optimizing the tire's contact with the road during acceleration, braking and cornering to provide the longevity you expect from Michelin.